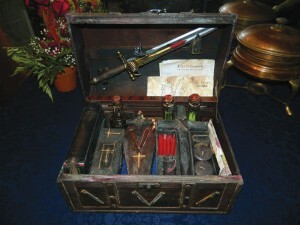 This one of a kind Vampire Killing Kit was created by CRYSTOBAL last April. It is inspired by the True Blood series, and contains a map of Bon Temps, along with letters from the Stackhouse Family. This premium, top of the line Vampire Killing Kit was only on sale online for a few months before the right buyer came along to claim it. This kit was sold through CRYSTOBAL’s etsy store. 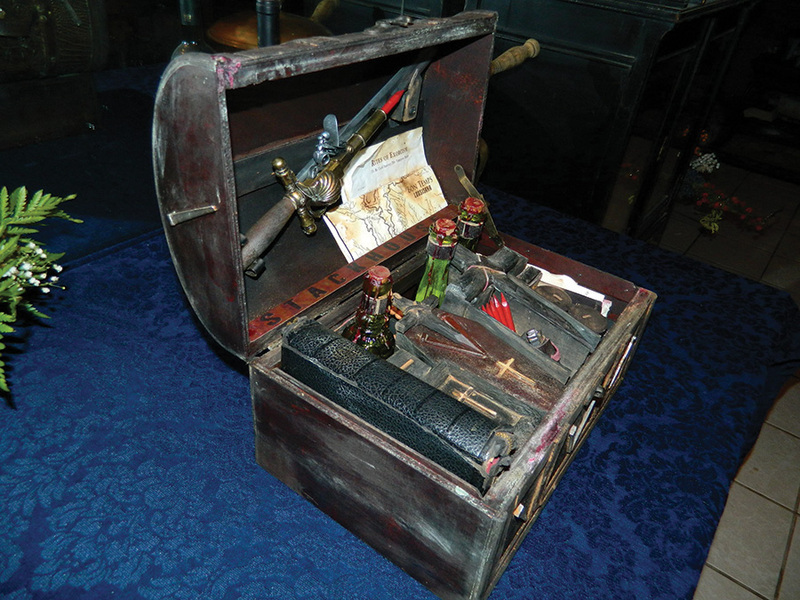 “This was one of my favorite kits to build,” says CRYSTOBAL, maker of the world’s finest Vampire Killing Kits. “It took a long time to build but it was well worth it. The detail I put into this kit is remarkrable, even by my own standards”. This large-sized kit includes three cross stakes, a wooden mallet, and a combination dagger/pistol made to shoot small wooden stakes. It also includes and unusual coffin-shaped box for holding garlic. To see more of CRYSTOBAL’s vampire killing kits for sale, visit his etsy store online.